The apartments are close to shopping, grocery stores, banks, and doctors. I like the convenience of having the laundry facility on site and I enjoy the holiday dinners and monthly movie days. This is the most well taken care of. The management is friendly and caring. The people who live here are welcoming and lots of fun. People do not just stay in their apartments, they set outside and visit. I really like that. I have never been happier. Staff and management is courteous and helpful. I enjoy the interaction with kids at Kids Connection. I'm treated very good here. It's like family. The quality of service is exemplary. Staff is great. Maintenance requests are handled immediately and with a smile. A wonderful place to live. Since my move in date, February 8th 2001, Susan has been the best secretary we have ever had here. She is very courteous, friendly, knowledgeable, and caring, as is our social service coordinator, Mark, Christen, executive in training, and Donna, our executive director. Since Donna has been here, she certainly has straightened up some of the problems here. And our security monitor, Payne, keeps our building very tidy. I am very grateful for each and every one of them. Service is excellent. As always they provide assistance whenever I need it. The staff is great human being, very courteous, and provide prompt help. Eskaton Wilson Manor is a gated community which provides me with a measure of security. There are comfortable outside sitting areas that are shaded and in the sun to enjoy and relax. Clean, safe, affordable housing (54 units of independent, subsidized living). Surprising that they offer a preference to qualified veterans. The staff is incredibly courteous and helpful. Even after 20 years, the apartments are in like new condition, and management has an ongoing plan to make improvements. My living quarters is clean and cozy. I couldn't ask for anything more. I am satisfied! The service is excellent, as well as always provide assistance whenever I need. The staff is great human being, very courteous, and provide prompt help. My living quarters is clean and cozy. I couldn't ask for anything more. I am satisfied. I'm an in-home caregiver working for the state, and I think they're doing a good job. I like the affordability of living here, and it's managed very well! The staff is excellent! I have lived at Eskaton Wilson Manor for 6+ years. I am very fortunate to have my own apartment here. The doctor's office, pharmacy, and grocery store is nearby. Each year, I look forward to the "homemade" Thanksgiving feast and "fun" holiday celebration prepared by the staff. I receive good service and a quick response to my maintenance requests. I like that the apartments are all one level and have carports. All of the staff is friendly, and I hope they stay here for a long time. Maintenance respond to our requests as needed. Very good quality and lots of help when I came back from the hospital. I feel safe here. My friends are here. People are nice. The apartments are clean and so is the office. I walk the grounds 3 times a day and everyone says hi and talks to me. The office made sure I had my caregiver and social worker when I came back. Thank you. Clean, quiet, secure and well kept. I love living here. Eskaton Wilson Manor has a welcoming atmosphere with a passionate staff. Dedicated to improving the lives of the residents with a community=based focused. I am a student volunteer here. I have been living here now for 3+ years. I find the accommodation to be modern and up to date. As an independent community, it is not only affordable and comfortable, but being a gated community, very safe for people who can still take care of themselves. This is ideal. Must be 62 years young or handicap. Rents are calculated at 30% of your income with a generous utility allowance. I have lived here for thirteen years. I'm happy that the apartment and grounds are well maintained. I like that it is close to shopping. Activities are offered and the staff really cares about the residents. There is a friendly atmosphere here. Wilson Manor is a very clean, friendly, homey residence. The office and grounds staff is very helpful and informative. The environment is inviting, pleasant, and secure. They provide a space to interact with other neighbors and entertainment. There is also a washer/dryer on the grounds which makes it easier for me to get my laundry done. They are #1 in my book. The staff of Eskaton Wilson Manor welcome visitors and acknowledge the residents by their name. The tenants are very friendly towards one another. Their multipurpose room is very clean and open for tenants and visitor to socialize. I believe this Eskaton is a great community where the residents and myself are given the service needed. Helping with things such as food stamp applications or medical. The staff has always been very caring and welcoming. Throwing festivities for the residents and come together as one and share great times. 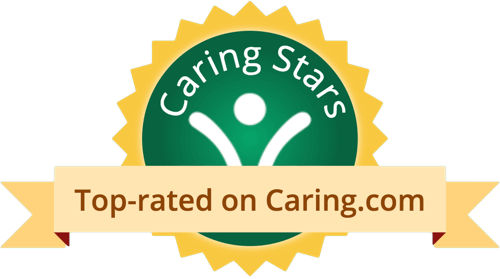 I have worked here as an in-home caregiver to residents for a almost 3 years and this place has been and always will be my home away from here. 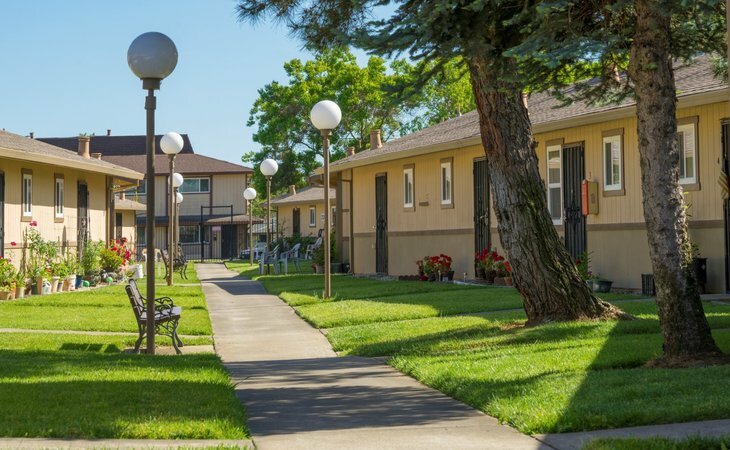 Eskaton Wilson Manor is an affordable independent living community in West Sacramento, across the river from downtown Sacramento and just minutes from I-5 and I-80. Situated on 2 ½ acres of beautifully landscaped grounds, complete with resident garden area, walking paths, park benches and lighting for evening strolls. Located near shopping, public transportation, banks, medical services. What should caregivers and potential residents know about Eskaton Wilson Manor?